When was the last time you changed your sales strategy? Have you considered or attempted to incorporate social selling into the mix? The world is at a digital age now where industries are continuously changing. Sales is a lot more than just cold calls and client visits. With the rise of social media, social selling is a smarter, more efficient approach to prospecting leads and selling services and products. A survey conducted by LinkedIn revealed that top sales professionals have jumped on board the social selling ship with 90% believing it is an effective selling method. The process of social selling may seem easy. After all, you just need to establish a social media presence and take it from there. While that is true, there is a lot more that goes into social selling that just having a presence on various social media platforms. We have the insights for those that are either struggling with social selling or just getting started. The number of users on social media continues to grow year by year. According to Statista, there were 2.7 billion users registered overall on social media and by 2021 that figure is projected to reach 3.02 billion. This presents small and medium-sized businesses with an opportunity to cater to a much wider audience, an audience they may not have access to otherwise. Doing all this with ease from the comforts of their office. Don’t get us wrong, there is a lot that goes into social selling, but social media has allowed users to contact prospects with just a few clicks. With the proper strategy, you can make social selling the main sales funnel for your business. 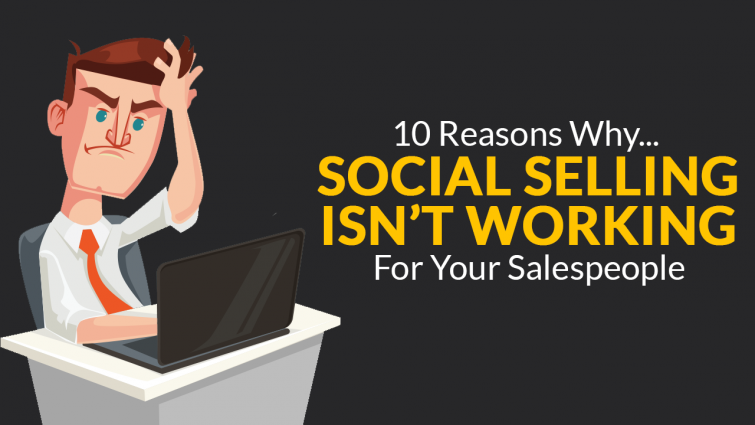 In order to adopt that strategy, you need to know what to avoid, that’s why we have the 10 reasons why social selling may not be working for sales professionals. You can have the best sales personnel on your team, however, if there isn’t a proper strategy for them to follow they aren’t going to excel at social selling. 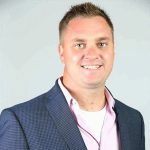 Social media is a completely different ball game, sales personnel are used to communicating over phone or meeting clients in person. If they aren’t familiar with the platform or how to engage prospects properly, they will have trouble. That is why proper training needs to take place and a strategy needs to be devised so the salesperson knows how to use these platforms to their advantage. 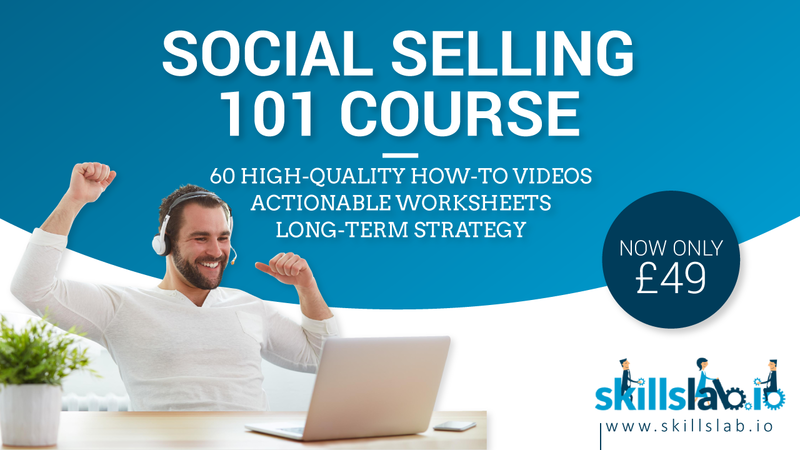 If you are dealing with sales professional that are new to social selling, then it is smart to have a separate SOP for social selling alone. This will guide them on how to interact and ensure a relationship is built with prospects. Commitment is key for any sales process, be it on the phone or through social media. Sales professionals tend to take social media a bit lightly, thinking they can get sales without staying committed. It isn’t just about being committed to follow-ups with prospects that have shown interest. You need to be constantly on top of things, post materials consistently, making sure all the comments and messages are replied to, and so on. Sales personnel also need to learn to be patient when it comes to social selling. A presence needs to be established before prospects start flocking. Through posting consistently, sharing information that engages and enlightens your prospects your business will develop a network. So while the process may be slow and not fruitful initially, it will pick up. If your sales team isn’t tech-savvy then they are better off staying away from social selling. You need to make sure that the team is properly trained on how to use the different platforms before they get on it. Using it for sales purpose is very different than personal use and they should be aware of that. What they share and how they share it reflects on your business. To get started, you need to assess the digital knowledge of your sales personnel. 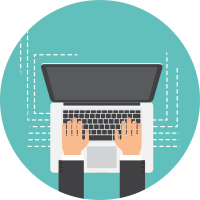 You can then either find online training or hire an individual that can build their capacity to be social sellers. The training will focus on the digital gaps that the individuals possess. They should also focus on the overall sales process, how to sell and communicate on social media. To increase the interest of the sales team in the training, you can tell them how social selling can benefit their own sales number. Show them a case study of a business or two that has increased its revenue by employing the process and motivate them to do the same. Most sales professionals make the mistake of constantly pushing for sales on social media. The process of social selling begins with individuals becoming “noticers,” first. Being a “noticer” enables them to garner the attention of people on the platform. Presenting them with a chance to build a wider network of possible prospects and individuals that don’t even know they are in need of your services or products. Through the process of nurturing this network, the sales personnel can easily turn these prospects into sales. With this approach, in time you will notice that businesses will contact you directly for services and products rather than your sales personnel chasing them. Along with consistency, you need to make sure that the content you share is of quality. You may need to work on a content strategy to achieve this. What you want to do is share content that is not only informative but also engages your network. You can mix up how you share the content. 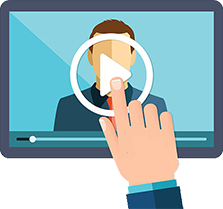 Social media lets you share videos, live streams, audios, images, and articles so be sure to utilize all these different methods. You want to get your network to start a conversation, approach you rather than you approaching them. Thought leaders have a lot of influence on social media. For a business to be successful at social selling they need to establish themselves as thought leaders first. In order to become a thought leader, you need to make sure that the content you share is relevant and gives insights that no one else does. You know, share content that is more valuable than what your competition shares, so people come to you for information over them. To develop this content, you should promote salesperson to spend at least half an hour a day to research and read up on new trends in your industry. This will enable them to generate content of new trends and insights before anyone else. Becoming a thought leader in the industry will lead to more engagement from your network, translating to more sales. 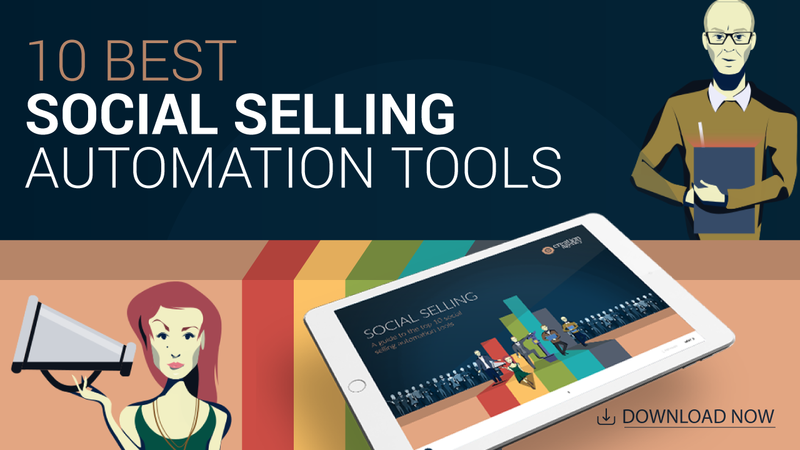 It is important that your salesperson have the right tools for social selling to be effective. This includes knowing the right platform and the right third-party assistive applications. You need to make sure that your salespersons have it all inline. Most B2B businesses find that LinkedIn is the best option for social selling while B2C prefer Facebook and Instagram. That doesn’t mean that B2B companies can’t generate sales from Facebook and Instagram. Just the type of interaction and approach are slightly different. Your salesperson should know which platforms are ideal for your industry to target prospects and become active on them. It is also important that you have a presence in more than one social media channel as each of them have a fairly specific demographic. LinkedIn has professionals and businesses, Facebook and Instagram have all types of users, and so on. If your sales & marketing team share little to no collaboration, chances are your social media presence will be affected negatively. It is vital for a successful business to ensure that the two teams work in harmony for the business to grow its revenue. The channels of communication between the teams must be open. The sales department needs to know what the marketing strategy is and vice versa. Possibly even building one strategy that has both sales & marketing aligned would be a better idea so everyone knows their role and works accordingly. This allows your salesperson to stay ahead of the curve, knowing exactly what kind of promotions and information is being put forth on social media. So they know who and how to target individuals and businesses in your network. Aligning the two departments will have nothing more than a positive impact. 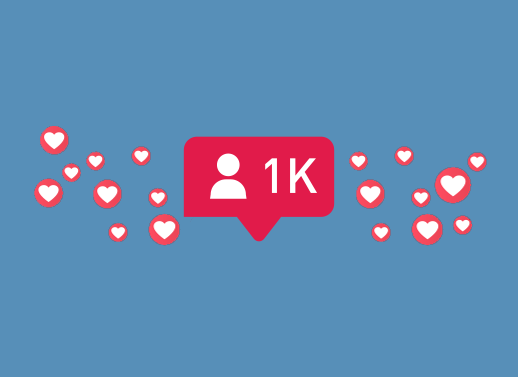 It will boost your social presence and improve revenue through social selling. Nothing annoys users more than constant notifications from businesses. Sending your network updates every hour is a sure way to have them unfriend or unfollow you. Dealing with businesses, you need to make sure your approach to social media is very professional, everyone on the team should be aware of that. Prospects take time to develop into sales; the last thing you want to do is annoy them in the process. Social media presents salespersons with the opportunity to easily connect with a wider audience but also lose them just as quickly. They need to have a plan of what to post and when to post it. It is easier if weekly plans are made ahead of time and the team sticks to them. You probably don’t want to post more than twice a day, unless you have an event or it is a special occasion. Remember that you have professionals and businesses in your network and they don’t want updates every hour. In order to know how your sales strategy fairs, you need to make sure you have the right tools in place to measure it. Having analytical tools for social selling is even more relevant because these tools can give you great insights into what works and what doesn’t. Measuring the impact of your plan can be a bit tough of social media. Most platforms will tell you the impact of posts and content on their own. You can also determine what kind of content engages your network with comments and likes but how they link to sales may be a bit harder to gauge. For that, you need to have the right tools in place. You need to establish the KPIs for social selling and then employ tools around it to measure the impact your social media strategy has on social selling. This will also allow you to tweak the strategy as time passes after you determine what works and what doesn’t. Otherwise, you will have salesperson following the same strategy even if it doesn’t work. You’ve probably been able to determine that there is more to social selling then just having a presence on a platform. You need to set a proper strategy with KPIs and measurement tools to make sure that it works well. Not doing so will only make your approach to social selling non-impactful and a waste of both time and effort.